Nobody’s perfect. We all have things we’d like to improve about ourselves. Whether it’s a personality characteristic such as becoming more outgoing or a physical characteristic like your smile, everyone has something they can work on. 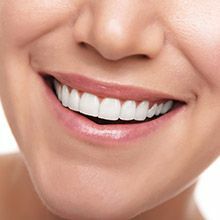 At Smile by Design, we help people improve their smile and then lo’ and behold they become more outgoing! A beautiful smile can be a confidence booster. With the right cosmetic dentistry in Virginia Beach, you can have a more attractive smile and be more confident. 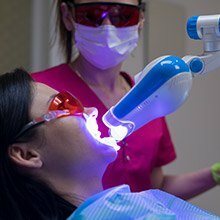 The dentists and their team at Smile by Design have the knowledge and experience to improve your smile using a variety of cosmetic dentistry techniques. Get the confidence you deserve today. In the past, dental restorations were primarily made of dark metals that made them instantly stick out in the smile. Thankfully, we’re no longer living in the past, and now we can provide crowns and bridges made of 100% dental porcelain. This material is strong, durable, and well-known for its ability to mimic the appearance of real enamel, even down to how it reflects light. With it, we can create a restoration that only you and your dentist will know isn’t real! Minor chips, cracks, gaps, and stains are no match for direct bonding, a fast and easy treatment that can improve the appearance of the smile in just an hour or less. 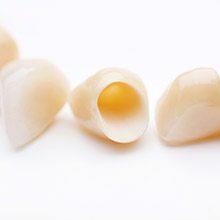 Your dentist will simply apply a tooth-colored composite resin to any damaged or missing enamel, and they’ll use it to sculpt the tooth to perfection, hiding any flaw in the process. It’s one of the simplest and most affordable cosmetic procedures available today, plus the results can be trusted to last for at least 10 years. As the years go by, different factors can begin to take a toll on our teeth. Wouldn’t it be great if you could see the result of a cosmetic procedure before you actually got it? 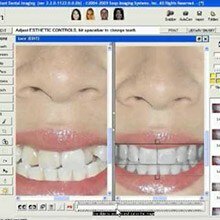 With our Virtual Smile Design system, that’s exactly what you can do. 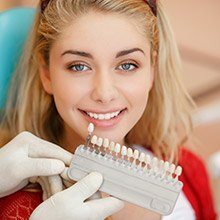 Using a digital photo of your current smile, we can alter it to show you the results of teeth whitening, porcelain veneers, or any other procedure you’re interested in so you can see if it would be right for you. It’s the perfect way to make sure you and your dentist are on the same page, plus it allows us to make any minor adjustments you want before you even sit in the dental chair. If you’d like a smile with straighter teeth but you are reluctant to wear traditional braces with metal brackets and wires, then consider Invisalign. 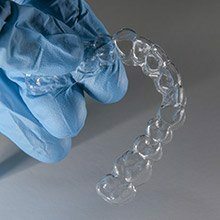 This orthodontic system uses clear plastic aligners to move your teeth. Dr. Santos or Dr. Folck will work closely with technicians at Invisalign to develop a treatment plan that addresses the specific alignment problems of your smile. All you have to do is wear your aligners for about 22 hours a day and watch your teeth gradually move into proper position. Our skilled cosmetic dentistry team is eager to work with you to create your beautiful new smile. We coordinate looks for patients in Virginia Beach, Fort Story, Sandbridge, and other communities, so hurry and schedule your appointment with Smile by Design in Virginia Beach today.